European Open 2019 registration is in phase 2. All PDGA members with a minimum rating of 960 are welcome to register for the event. FPO division is available for ladies rated 910 or above. 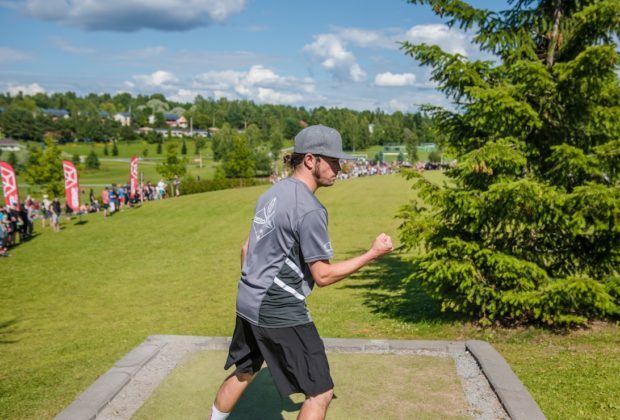 Athletes who meet the requirements can register directly at the Disc Golf Metrix. Phase 2 runs for a week, until Wednesday, January 30. Phase 3 will begin when the phase 2 closes. Check here for full info on European Open 2019 registration. While you’re at it you might as well check out who is coming to Nokia on July 18-21. You can expect the top disc golf talents to put up a Major show! European Open is expected to be full in the phase 2 of registration. Once the event is full a waiting list is automatically created by Disc Golf Metrix and each new registrant receives a queue number. Spots that become available, e.g. due to cancellations, will be automatically issued to players on the waiting list based on their queue number. Queue number is based on the time of registration. Phases 3 and 4 will be open as scheduled. All new registrants are issued a queue number and added to the waiting list. Wild card application and instructions have been published. Follow the instructions and fill the application form here.